The iPhone’s camera tends always to be among the best in the business, and with the iPhone 6, this trend will continue if reports pertaining to the upcoming handset are to be believed. 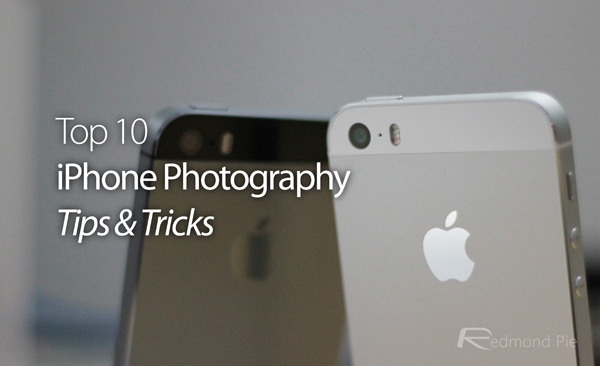 But with a few months to go until Apple showcases the next best thing, we’ve still got a very solid shooter in the rear-facing lens of the iPhone 5s, and one YouTube channel has sought to help you get the very most out of this great snapper with a run-down of ten tricks that you probably didn’t know about. There are many great camera accessories and peripherals out there for iPhone users to enjoy, and some – such as the famed Olloclip – are capable of producing exceptionally enhanced images that go way beyond what the rear-facing shooter can muster at stock level. These ten tips and tricks you see below require no additional software, and rely purely on basic tips that anybody can try. For example, taking a selfie is always quite a difficult task that prompts a user to stretch their arm as far as possible. But what you may not of have known, is that by connecting the official Apple EarPod headphones (or the older earbuds, for that matter), you can use the volume button to control the shutter, and as such, you can squeeze a whole lot more content into your front-facing snap. One trick I particularly like from the countdown, compiled by the folks at DigitalRevTV, is the technique of using translucent / transparent objects like bottles to create some weird and wonderful effects. Using a drop of water to take a macro shot is one of the most common ways to manipulate the lens, but is a tad risky given how the Apple smartphone isn’t waterproof. Thus, if you want to create some wide-angle, macro, or similarly unique effects, be sure to grab a clear-ish bottle and try it out. Or, alternatively, buy an Olloclip. As aforementioned, there are ten useful iPhone camera tips in all, and we’ve embedded the video below. And hey, even though a few of these are specific to the iPhone, there’s no reason why some, such as the superhero effect, cannot be achieved using any other capable smartphone shooter.